27 Oct It’s Party Time! Do you love to entertain? Maybe your birthday is coming up… or your spouse’s. Maybe it’s a special anniversary. And let’s face it, the holidays are just around the corner. 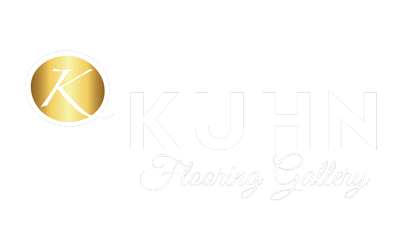 Now is the ideal time to think about new flooring for your home… and Kuhn Flooring Gallery is the Boca Raton flooring company that’s ready to meet all your needs. There are so many options for residential floor installations. Wood and Laminate – From Exotic to Native species, we offer a vast, custom crafted, selection featuring variable widths in satin and hand scraped fishes, as well as durable affordable laminate in a myriad of distinct tones, clarity, and hues. Our expert installation team will assure uncompromising quality as you add the beauty, strength, and character of wood to your home. We install wood flooring with style and substance. Carpet and Rugs – Highly valued for comfort and quiet, decorative aesthetics, our carpets are softer and more stain resistant then ever before, with an infinite number of patterns and textures to choose from. In tandem with hard surfaces, the addition of a custom area rug brings a softer surface underfoot and a pop of color and style. Porcelain, Marble and Tile – Durability and ease of maintenance make porcelain and marble our most resilient and beautiful surfaces, complimenting any design style. Choose from a huge array of finishes and styles in natural stone or porcelain featuring the latest in ink jet technology. Luxury Vinyl – Featuring the fastest growing technology, our extensive collection of luxury vinyl will bring beautiful style, durability, and comfort to your home at an affordable price point. This multi-use surface offers the true look of wood and is water resistant, durable, pet friendly, and installs so conveniently! Our vinyl flooring gallery will show you what’s available. For full-service flooring solutions, come to our flooring gallery and look at all the beautiful Florida flooring options that are available. This experienced Boca Raton flooring company is ready to meet your every need. Let’s get this party started!